A sensational Edwardian murder. A scandalous wrongful conviction. Sir Arthur Conan Doyle to the rescue. For all the scores of biographies of Arthur Conan Doyle, creator of the most famous detective in the world, there is no recent book that tells this remarkable story—in which Conan Doyle becomes a real-life detective on an actual murder case. 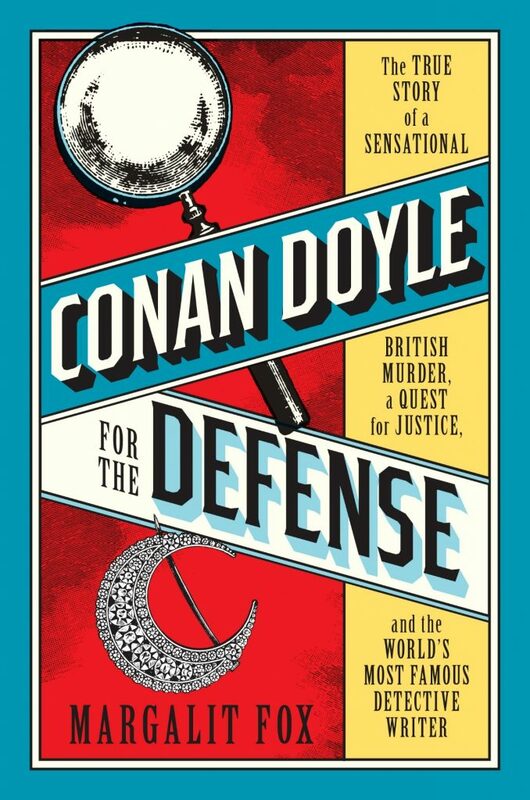 In Conan Doyle for the Defense, Margalit Fox takes us step by step inside Conan Doyle’s investigative process and illuminates a murder mystery that is also a morality play for our time—a story of ethnic, religious, and anti-immigrant bias. In 1908, a wealthy woman was brutally murdered in her Glasgow home. The police found a convenient suspect in Oscar Slater—an immigrant Jewish cardsharp—who, despite his obvious innocence, was tried, convicted, and consigned to life at hard labor in a brutal Scottish prison. Conan Doyle, already world famous as the creator of Sherlock Holmes, was outraged by this injustice and became obsessed with the case. Using the methods of his most famous character, he scoured trial transcripts, newspaper accounts, and eyewitness statements, meticulously noting myriad holes, inconsistencies, and outright fabrications by police and prosecutors. Finally, in 1927, his work won Slater’s freedom.